The 16-screen AMC Metreon in downtown San Francisco is undertaking significant renovations. The movie theater is the main attraction of the popular four-story Metreon shopping and entertainment center and takes up the mall’s entire third floor. Burnham Nationwide is helping obtain the permits for the theater alterations which present some unusual issues due to public health and accessibility requirements. The improvements to the AMC Metreon, housing the largest IMAX in North America, accompany recent upgrades at the Metreon. Originally opened in 1999, the mall’s redevelopment includes a newly created outdoor dining terrace that expands the Metreon’s dining options and the addition of San Francisco’s first City Target. Renovations are under way in the AMC Metreon’s theaters to create a more comfortable and innovative entertainment experience. The alterations include the creation of more spacious theaters by changing the seating count and arrangements. AMC is also updating the concession areas to expand the food and drink options, including adding the new MacGuffin’s Bar & Lounge which will offer beer, wine, and cocktails to theater goers. The renovation of the concessions and addition of the new bar trigger the San Francisco Department of Public Health’s (DPH) permitting requirements. Restaurants and bars are required to have a permit from DPH. DPH must review the plans for any renovated restaurant or bar and conduct an inspection of the remodeled facility. DPH checks for such items as the number and location of sinks in the concession areas, proper sink drainage, food service safety, and the types of finishes to be used in the concession areas. Burnham coordinated meetings between DPH and the design team. We also constantly interface with DPH on our client’s behalf and continue to meet with DPH on and off-site to go over any DPH comments on the plans. Once we receive additional feedback from DPH, Burnham helps our client address any DPH concerns in a timely and effective way so there will be no delay in receiving DPH’s approval. Meeting the California accessibility requirements, California Code of Regulations, Title 24, posed some unique challenges. Burnham acted as the mediator between the San Francisco Department of Building Inspection (DBI) and the out-of-state design team. DBI requested changes to the theater plans to make them compliant with the California accessibility requirements, and we helped our client develop cost-effective solutions. DBI required the accessible seating to be located in specific parts of the theater to ensure that these seats provide appropriate sight lines. The redesigned theater also needs to have some of the accessible seating available along the aisles and providing folding arms. The California accessibility requirements also impact other elements of the altered theater, such as egress, types of handrails and locations, signage, and ramps. Burnham met with the DBI officials on our client’s behalf and then communicated the required changes to the design team. We illustrated the necessary changes on the plans to better translate what the DBI reviewer was seeking. Based on our conversations with DBI, Burnham also helped the design team understand where we had options available and assisted with creating remedies that would make the renovated theater code compliant. We also needed to demonstrate to the DBI reviewers that the renovated theater would meet egress requirements. The unique design of the Metreon building allows for exiting directly from the movie theater’s third-floor location to an outside courtyard. However, it is difficult to understand how the exits work from just looking at the current plans that were submitted to DBI. In order to receive approval for the plans, Burnham met with DBI to precisely explain how the building is laid out and provides appropriate means of egress. 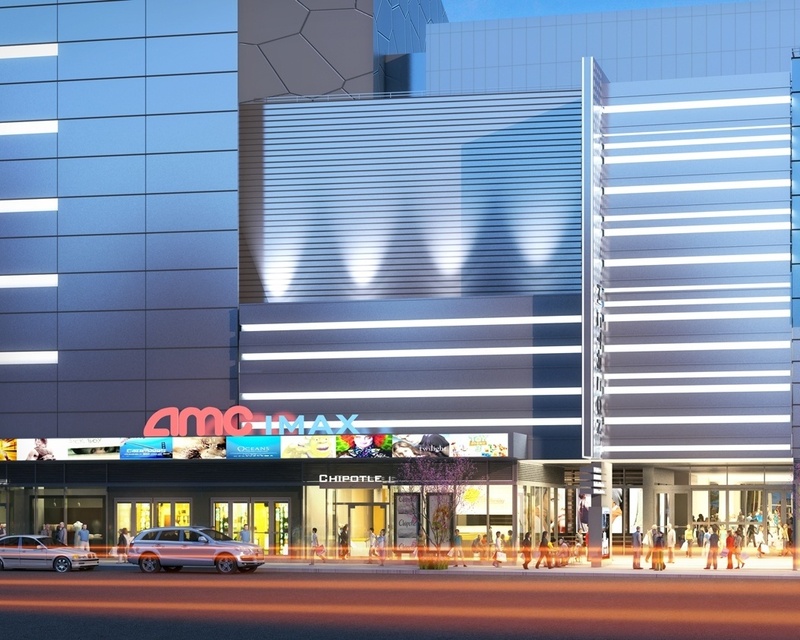 We are pleased to be able to assist with the innovative renovations of the AMC Metreon Theater.